Many people choose to name their “estate” as their beneficiary. Although this is an easy short-term solution, it is important to review the risks of doing this. If you are stuck for a significant “other” beneficiary, don’t forget to change it to a more appropriate option later. Why? The proceeds will be subjected to probate fees and the benefits received will be co-mingled with all the other estate assets which may be exposed to various third parties. 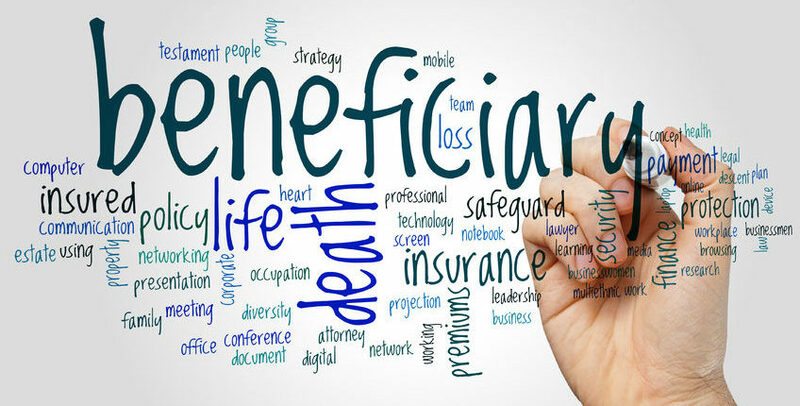 A “preferred beneficiary” is a spouse, parent, child or grandchild and receives VIP treatment in the form of protection. All the proceeds of the life insurance product (including Segregated Funds) are protected against claims of the creditors or litigants of the life insured not only upon his or her death, but any cash values in that policy are also protected during the lifetime of the insured. Often parents of minor children are concerned about what would happen should they both tragically pass away at the same time. For this reason, the children are often named as “contingent beneficiaries”. If the children are minors, the trustee named to act on their behalf will receive the proceeds directly upon the death of their parents avoiding any estate considerations. You have divorced – if you have a divorce agreement that required you to maintain your spouse as the beneficiary, have the conditions of that requirement now expired (e.g. children are now of age) and is no longer required? If you have remarried – is your ex-spouse still named as the beneficiary? If you have new dependents – children, grandchildren or even dependent parents. If your children are now grown up – and have families of their own, does this change how you want your life insurance proceeds to be paid? If your children are married, their spouses may have access to these proceeds too. Is their relationship solid, or is there a risk of half of your life insurance proceeds being paid out as part of a divorce settlement? Perhaps you should consider naming your grandchildren as beneficiaries instead? Often, older individuals find they have no one to whom they wish to leave their insurance proceeds. In this situation, naming a registered charity will provide a charitable tax deduction in the full amount of the proceeds at death. Please contact a member of Outline Financial’s insurance team to let us review your beneficiary designations and make sure your life insurance proceeds end up where you want them to be. As always, feel free to use the share button to forward this article to someone who might find it of interest.